Home>> Attorneys>>Paul E. Rice, Jr.
Mr. Rice is a life long resident of Daytona Beach, Florida. 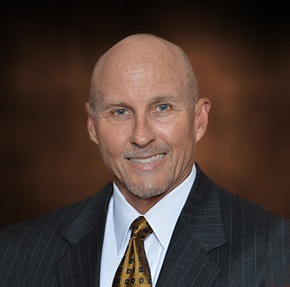 He has been representing divorce and family law clients in Daytona Beach and Volusia and Flagler Counties for over 30 years. Mr. Rice is board certified in marital and family law by the Florida Bar. Only six percent of all lawyers in Florida are board certified. Mr. Rice has attained an AV Preeminent Rating, the maximum rating for legal ability and ethics that a lawyer can receive by Martindale-Hubbell, the leading national law firm directory. Mr. Rice is the past president of the Volusia County Bar Association and has served as the chairman of the VCBA’s Family Section from 2004 through the present. Mr. Rice takes a solution-oriented approach to family law. In most divorce and family law cases, an early, amicable and inexpensive resolution should be sought, assuming the client’s goals will not be compromised. In some cases, trial is inevitable. Mr. Rice has extensive trial experience in all types of divorce and family law matters. Contact Mr. Rice today for a consultation! Read More Articles By Paul E. Rice, Jr.